The skydiving sequence in Zindagi Na Milegi Dobara excited each one of us and the next thing that we all would have done is search a place for skydiving in India. I did something close enough but 4 years after the film released. Back to 2016! I and my friends are backpacking in Himachal Pradesh when we realize that, there is a place in Himachal for Para Gliding. 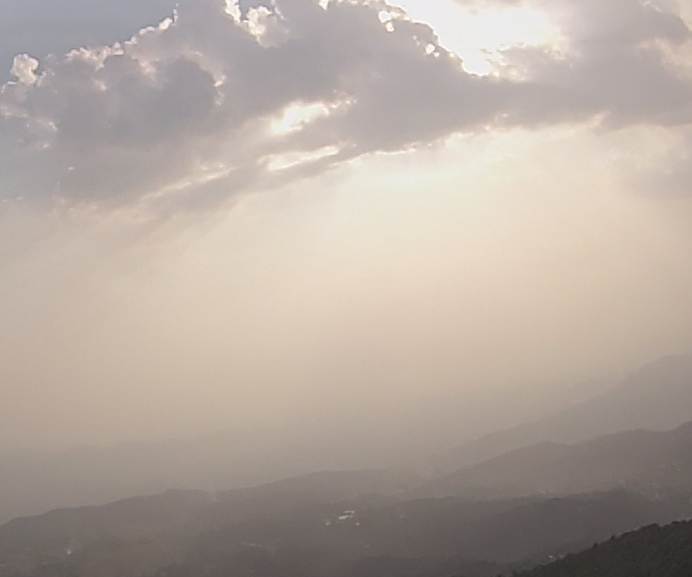 After a quick search on Google, I found Bir, which is famous for Paragliding. It also hosted the Paragliding World Cup in 2015. Without giving this activity a second thought, I and my fellow wanderers decided to visit Bir and experience one of the many aero sports in the world. 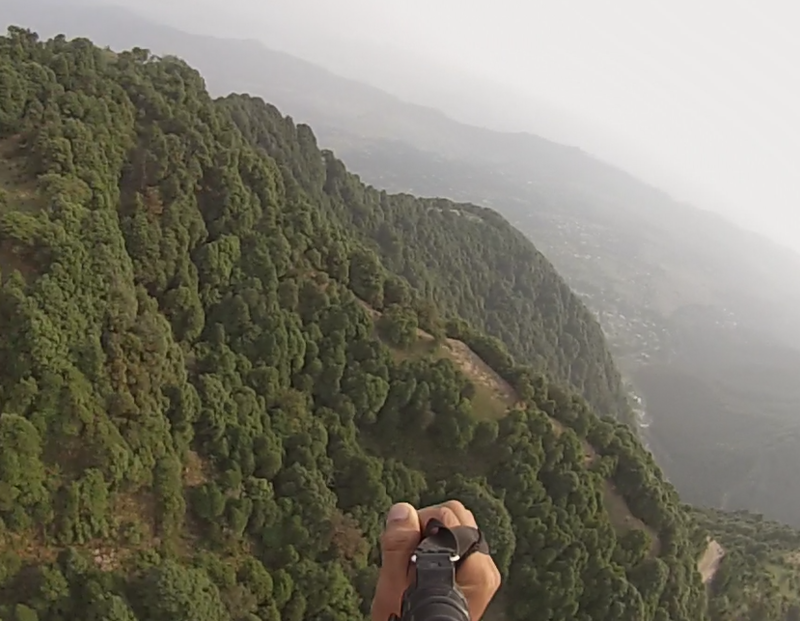 We were energized and pumped up after the remarkable tête-à-tête with the mountains at Triund. To make things easier at this exciting place we booked a dorm at the newly opened Zostel Bir– India’s First Backpacking Chain of Hostels. We were all ready for our first Paragliding experience which was interesting because of the place and the mountains. The take-off was from Billing, which is at a height of 9000ft from Bir. By the time we reached the top, it was 5.30pm. The Sun was bright and the sky was clear. The guide equipped us with the necessary gear and instructed us on how to take-off. 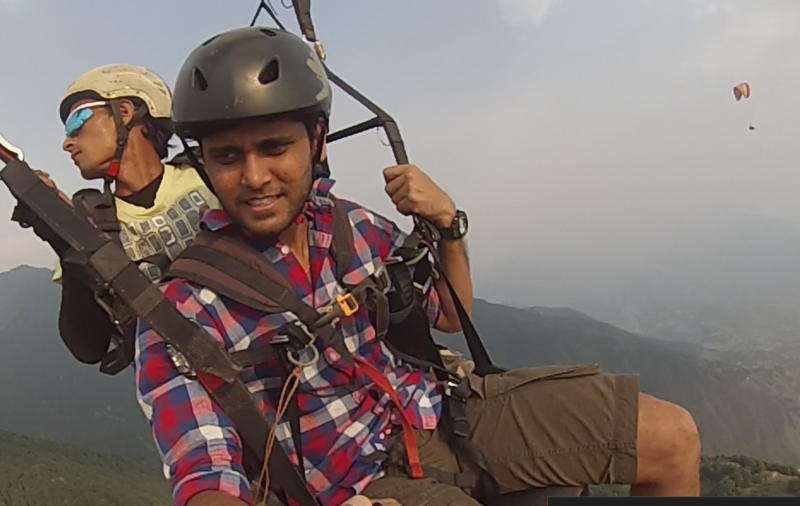 This was the first time where we were going to jump from a mountain to paraglide. We have to run against the wind that lifts the wing, which pulls us behind. But once you get the momentum and a little help from your guide you are up in the sky. It’s a surreal experience to sit on a makeshift chair that comes out when you are pulled up in the air and enjoy the world from above 11,000ft, with the guide being your only hope of survival. Watching the expanse of mountains and the forest was a surreal experience. The river beneath me changed its color from milky white to amber. 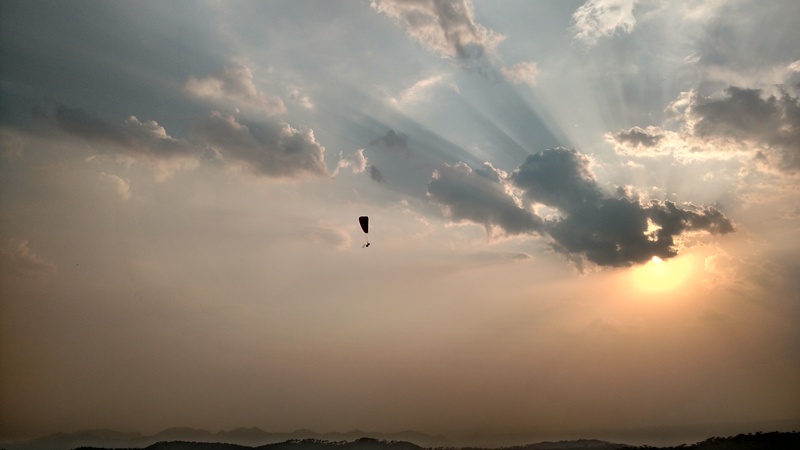 Silhouette of paragliders on the backdrop of the sunset & horizon felt like a painting done with water colors. And as the dusk fell upon the pretty town of Bir, every particle shone like gold. After gliding in the sky for about 20 minutes, I landed. During the time in the sky, I was overwhelmed by the amount of excitement and thrill which accompanied us, right from the beginning of #TheGreatHimalayanAdventure. This trip was going to change our perception of traveling and backpacking. It was one of those trips where you don’t worry much and do things based on your intuition. So, as we spent time basking in the glorious sunset of Bir, we heard the whispers coming from the realm of the magical Parvati Valley.